President Donald Trump questioned the judgment of Michael Flynn, his former national security adviser. One source of tension appears to have come from Flynn's delay in responding to a congratulatory phone call from Russian President Vladimir Putin. 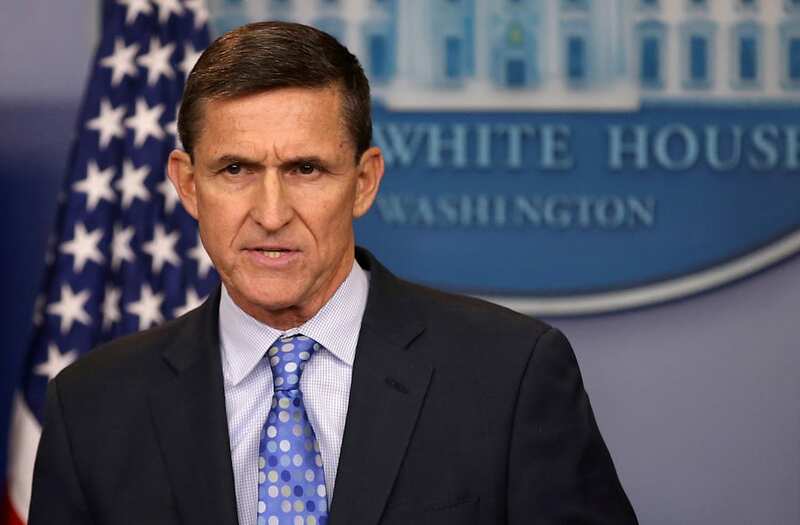 President Donald Trump questioned the judgment of his former national security adviser Michael Flynn, according to memos written by former FBI Director James Comey that were published Thursday evening. And some of Trump's ire at Flynn came from the White House's delay in responding to a congratulatory phone call from Russian President Vladimir Putin. According to Comey's account of Trump's story, Trump was giving a toast to UK Prime Minister Theresa May and explained she had been the first to congratulate him after he won the presidency. However, Flynn interrupted Trump to inform him that another world leader had called first. The identity of the leader who first called Trump was redacted in the memo. However, people familiar with the situation said it was Putin, according to a Wall Street Journal report on Thursday. Flynn said a return call to that leader was scheduled. But Trump appeared to have been irritated by the delay. "Flynn said the return call was scheduled for Saturday, which prompted a heated reply from the President that six days was not an appropriate period of time to return a call from the [redacted] of a country like [redacted]," Comey wrote of Trump's account of conversation. "This isn't [redacted] we are talking about," Trump said, according to Comey. Flynn was forced to resign less than a month into his tenure as national security adviser when it emerged that he had misled Vice President Mike Pence about his conversations with Sergei Kislyak, then Russia's ambassador to the US, during the transition period. In December, it surfaced that Flynn had also misled the FBI about his interactions with Kislyak. Flynn pleaded guilty that month to one count of lying to the FBI and is now cooperating with the special counsel Robert Mueller. Comey's memos about his interactions with Trump constitute a central part of the Russia investigation. Mueller is examining Russia's interference in the 2016 US election, whether the Trump campaign colluded with Moscow to tilt the race in his favor, and whether Trump sought to obstruct justice when he fired Comey last May. As the investigation picks up steam, Trump and his Republican allies in Congress have waged an intense campaign to discredit Comey and accuse top Justice Department and FBI officials of anti-Trump bias and corruption. The Justice Department sent Comey's memos to Congress after three Republican committee chairmen threatened to hold subpoena Deputy Attorney General Rod Rosenstein for the documents and hold him in contempt of Congress if he did not comply.